Not so very long ago a Chinese delegate at an international mineral processing conference was a rare sighting. Not these days, however. 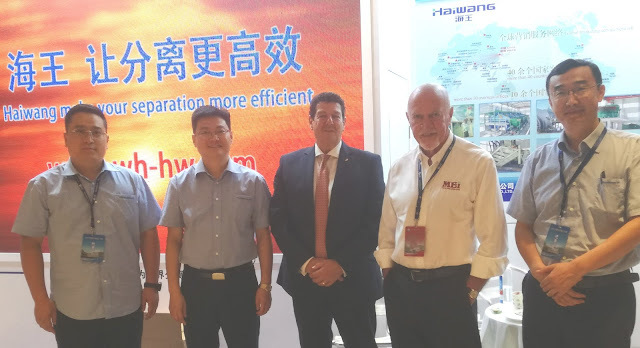 China has more mineral processors than any other country in the world, and increasing freedom to travel has swelled their representation at major events, as the photo below, taken at the 2014 IMPC in Chile highlights, where the UK delegation stood at a mighty 4! China's mineral processing strength was brought home to me last week during a four day visit to Changsha in southern China, at the invitation of the Central South University, to present a plenary lecture on the evolution of mineral processing to the Mineral Process of China 2017 conference. 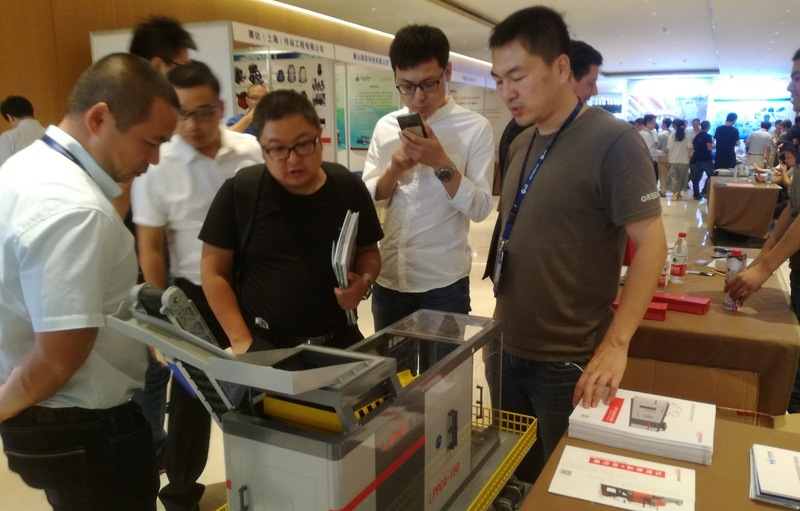 Central South University, with the world's largest mineral processing department, was one of the hosts, together with the Nonferrous Metals Society of China, Beijing General Research Institute of Mining & Metallurgy and Zhengzhou University. The conference was attended by over 1400 delegates, of which only 8 were from outside China! It was an interesting few days and below I share the highlights of my brief visit. After a long journey via Beijing I was met at Changsha airport yesterday evening by Dr. Zhiyong Gao of the Dept of Mineral Processing, Central South University (CSU), who I met last year at the IMPC in Quebec, Zhiyong's first time out of China. On the long journey through the Changsha rush hour he filled me in on some amazing statistics on the University, which has around 55,000 students and 20,000 staff. There are 38 universities in China with mineral processing departments, and CSU, which specialises in non-ferrous metals, is the largest, with 60 staff, 400 undergraduate students and 200 post grads, of which around 100 are researching for PhDs! Prof. Yuehua Hu's group alone, of which Zhiyong is a part, has 25 PhD students and 41 Masters students. Zhiyong told me that around 40% of the mineral processing graduates stay on for post-graduate work, and around 20% go into industry or to Institutes. Zhiyong and Prof. Hu hosted a fine lunch today where we were joined by some of their post-graduates, and also three of the international delegates, Prof. Jan Cilliers of Imperial College, UK, Prof. Kristian Waters of McGill University, Canada and Prof. Komar Kawatra, of Michigan Tech, USA, and his wife Geeta. Kristian is one of the new editors of Minerals Engineering and Komar edits the SME's Minerals & Metallurgical Processing. Later, for dinner, we met three more international delegates, Dr. Anh Nguyen and his wife Linh, from the University of Queensland, Dr. Przemyslaw Kowalczuk, from Wroclaw University, Poland and Dr. Hanumantha Rao Kota from the Norwegian University of Science and Technology. I must say that CSU treats its visitors very well. This morning we were taken to a copper and ceramic kiln area, and then on to visit the ancient town of Jinggang. Good to see my Minerals Engineering colleague Dr. Pablo Brito-Parada, of Imperial College, UK, who arrived late last night. After a quick lunch we were whisked over to the University Campus for an interesting tour around the mineral processing department's facilities. Outside the CSU Mineral Processing Dept. During a lengthy round table discussion with CSU staff members it was very apparent that Chinese universities are extremely keen to forge collaborative alliances with their western counterparts, and that they would welcome every opportunity to travel and present their work at international conferences and publish in international journals. It was also a pleasant surprise to hear how much environmental research is being carried out, in the processing of wastes, and recycling, particularly of the high-tech metals which pose enormous challenges. Hopefully China will be a major player in the ongoing quest for the circular economy. The first day of the conference, at the magnificent Preess Hotel and Resort, highlighted that the Chinese work ethic is very different from ours in the western world. Chinese conferences are held over the weekend, as mineral processors are "too busy during the week"! In the morning session Jan Cilliers and I were the only plenary lecturers presenting in English, although it was nice to see that Jan had recruited his post-graduate student at Imperial College, a graduate of CSU, to help him illustrate the slides in his excellent talk on the development of flotation models. Jan and I found it quite challenging addressing a sea of faces bigger than we have ever encountered before. After the lunch break the sessions spit into two parallel sessions of keynotes, with the remaining 6 English speakers in one room, and in the adjoining room, unfortunately inadequately sound-proofed, were the Chinese-speaking presentations. It has been a long hard day, which commenced at 8am, and finished at 6pm, with a short lunch break and only 10 minute morning and afternoon tea breaks. So it was good to relax in the early evening, wander around the small exhibition and talk to people over drinks and a buffet meal. The 2nd and final day of the conference was devoted to parallel sessions, and as these were all presented in Chinese, CSU offered us a whole day trip to Shaoshan, the birthplace of Mao Zedong. Judging by the crowds flocking to visit the house in which he was born, it is very apparent that Mao's contribution to modern day China is still held in high esteem. My few days at Changsha proved to be a rewarding and enlightening experience. It is evident that China will play a key role in the future development of mineral processing. Many people have suggested that MEI should hold one of its major conferences in China and while that is tempting it is not an option. Our aim is to increase the flow in the opposite direction, and to encourage Chinese researchers to travel to major international events, to present their work in English, and to publish their work in English language journals. It is vital that they become fully absorbed into the international community of minerals engineering, which has an exciting future ahead, and the only way that this can be effectively achieved is by broadening their experience outside their own country. They have much to offer and the mutual benefits could be enormous. Finally let me express my sincere thanks to the Central South University for their hospitality during my brief stay. They really pulled out all the stops for the small group of international speakers. I am already looking forward to the 2nd in what will be a biennial series of conferences. It is good to see the recent trend for multi-disciplinary collaboration in order to identify and develop means of ameliorating some of the major problems in the mining industry. A good example of this is the Global Comminution Collaboration of six institutes, which identifies comminution research needs and unifies the approach to working on these needs. Mining has been, and still is, a significant user of land space and water. One of the major environmental issues in processing the ore to concentrates is the waste stream, which can reach well over 90% of the total mass. The VTT Technical Research Centre of Finland is acting as the coordinator of the EU-funded three-year ITERAMS project, "Integrated Mineral Technologies for More Sustainable Raw Material Supply," funded by the European Union Horizon 2020 programme (MEI Online). It is hoped that the new methods developed in the project will offer the EU the potential to be in the forefront with regard to minimising waste, energy and water consumption in the mining sector. Mining impacts on water quantity and quality are among the most contentious aspects of mining and mining development. The main problem for the mining industry is to generate confidence in developing a responsible, sustainable and transparent water management strategy that is recognized as such by all stakeholders, and this will be the subject of a keynote lecture at Sustainable Minerals '18 in Namibia next year, by Prof. Rob Dunne (posting of 24 April). The ITERAMS project will target significantly reducing water consumption by circulating process waters and reducing the amount of tailings waste through valorisation of the mineral matrix. Water circulation reduces water consumption at mine sites and the need to dispose of large quantities of wastewater in surrounding areas. To achieve this, the project is focusing on the complete isolation of process waters from the adjacent water systems. This will require development of new methods for optimizing and controlling water qualities at each process step. As a bonus, it will also facilitate the recovery of additional valuable constituents. Geopolymer technology has long been recognized as providing the potential for immobilization of hazardous components and thus providing a safe method for utilizing mine tailings and the use of geopolymers as water- and oxygen-tight covers on the deposited tailings, as hardening mine fill or as saleable products will be demonstrated in the project. To this end, the tailings streams will be modified for their easier geopolymerisation. The developed ITERAMS water and waste efficient concepts will be jointly validated by industrial and research partners at their mine sites. Three sites at Boliden (Finland), Somincor (Portugal) and Anglo American (Chile or South Africa) have been selected to validate the results in various conditions, for example in various mineralogical and geographical areas. The consortium is multidisciplinary, covering the disciplines of geology, mining, minerals processing, microbiology, thermodynamics, chemistry, water and environmental sciences, sustainability, process modelling and simulation in close cooperation between academia and industry. A total of 16 companies and research organisations from seven EU member states, as well as from South Africa and Turkey, are participating in the project: VTT Technical Research Centre of Finland, Outotec, Boliden Kevitsa, University of Oulu, Ima Engineering, Aalto University and Lappeenranta University of Technology (Finland); BRGM and Caspeo (France); Montanuniversität Leoben (Austria); GreenDelta (Germany); Anglo American (UK); Amphos21 (Spain); Somincor (Portugal); Hacettepe Mineral Technologies (Turkey) and University of Cape Town (South Africa). Cooperation will ensure the exchange of information of best practices in the EU and internationally. 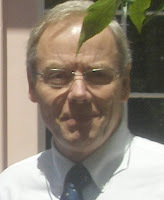 Prof. Kari Heiskanen is the Exploitation Manager for the project, representing Outotec Finland Oy. 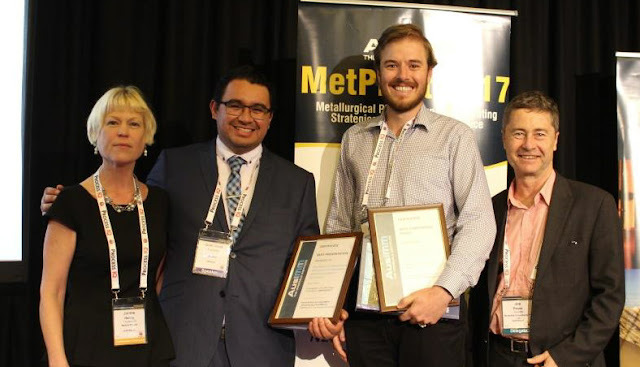 Last year the international company was ranked for the second time as the world's third most sustainable company (MEI Online) and we are proud to have the company as a major sponsor of Sustainable Minerals '18 next year, where we hope to hear a lot more of the progress of the ITERAMS project. Although MEI was a media partner for this month's Metplant '17 in Perth, unfortunately we were unable to attend. Which was a pity as I would have liked to have seen Dr. Grant Ballantyne, of the University of Queensland's JKMRC, receive the award for the best conference paper. Juan Jose Frausto Gonzalez, who is a JKMRC PhD candidate, received the Best Presentation award. Grant is a regular contributor to MEI's comminution conferences and has been invited to take on the role of one of the new Assistant Editors for Minerals Engineering. His paper looked at Recent Improvements in the Milling Circuit at Tropicana Mine and was co-authored by Mike Di Trento, Ivka Lovatt and Brian Putland from AngloGold Ashanti and Orway Mineral Consultants (OMC). OMC have conducted two surveys at Tropicana mine in 2015 and 2016 and these formed the basis for the paper. Due to their high power costs, Tropicana operate a high pressure grinding roll (HPGR), ball milling comminution circuit. In 2015 they were achieving results close to design, but more recently the throughput was increased by 20% following a substantial optimisation process where the HPGR closing screen size was reduced to 2.5 mm, the recycle conveyor capacity was increased and the HPGR speed was increased. This paper utilised the new Size Specific Energy (SSE) and Comminution Energy Curve methodologies to present this data and communicate the benefits achieved. Juan Jose’s presentation was titled The Impact of Classification Efficiency on Comminution and Flotation Circuit Performance and was co-authored by Grant, Kym Runge, Malcolm Powell and Roman Cruz from the JKMRC and Frensillo’s Minera Saucito mine. The operation of cyclones versus fine screens in the ball milling node at Minera Saucito was presented. The implications of classifier type was presented in terms of comminution performance, mineral deportment, mineral liberation, flotation recovery, concentrator footprint and maintenance. This was the kind of comprehensive study into fine screens that has been called for by many practitioners. Juan presented this information with clarity, and succinctly, this being all the more impressive due to the fact that English is his second language. Congratulations Grant and Juan from all at MEI, and we hope to see you in April at Comminution '18. Things are looking good for November's Flotation '17 in Cape Town (see also posting of 5th July), and the timetable will be finalised within the next few weeks. If you are thinking of registering, you might wish to take a look at who is already committed to attending. This delegate list will be updated regularly as we approach the event. The exhibition will provide a focal point for networking, as the booths, and the poster displays, will be in the coffee and lunch break-out areas. Currently 4 booths are still available for rental. Flotation '17 will provide a great opportunity to discuss the latest developments in this essential field with the world's leading experts. I surely benefited from this conference and enjoyed my time at Cape Town. As a young researcher, this conference gave me not only a unique opportunity to meet the top scholars and specialists in the flotation area, but also a better understanding of the current hot topics in flotation research, so thank you, Flotation ‘15. The 17th century Chain Locker pub, by Falmouth's inner harbour, has in recent years become the premier meeting place for Cornish mining people and their visitors to this beautiful part of Britain. It is the preferred summer venue for the Cornish Mining Sundowners and MEI's Falmouth conferences. But not this summer, however, as the pub re-opened only this month after many months of refurbishment. 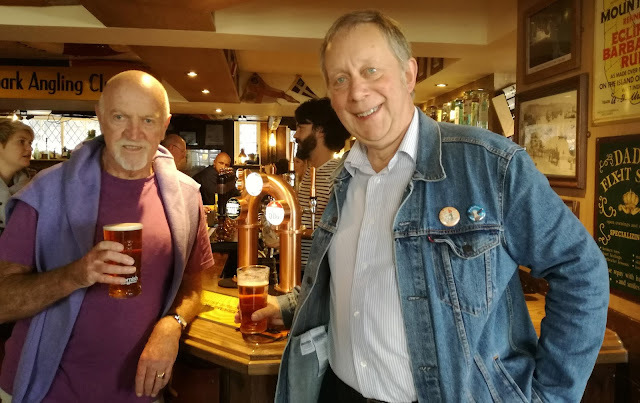 Last night I had a couple of pints in the bar with one of Camborne School of Mines' most dedicated alumni. Since graduating from CSM in 1983 Sam Wood has had an interesting career in mining and quarrying, in west Africa, but mostly in the north of England, latterly being involved with geotechnics and the reclamation of mining sites, surveying and tunnelling. Sam is a real Camborne stalwart, travelling up to four times a year to Cornwall for CSM functions from his home in Sheffield, 350 miles away. I will be in China next week so will miss the September sundowner, but if any of you are in the area you will find a great Cornish welcome at the splendidly restored Chain Locker on Thursday evening, commencing at 1730. Less than half a century ago the rare earth elements were classed as minor metals - who had even heard of neodymium, now essential in the production of powerful rare earth permanent magnets, used in wind turbines and many other applications? Lithium was essentially a curiosity, the third element in the Periodic Table, and the lightest metal. Now, of course it is in high demand for light, powerful batteries, and the increasing prevalence of electric cars (posting of 30 August) will increase the demand for this once minor metal. The rare earths and lithium are primary mined, but some of the once minor metals, such as gallium, germanium and indium, which are essential for our modern way of life, are by-products of base metal mining. The importance of all these metals cannot be overestimated, which is why we are looking forward to next years MEI Conference in Cape Town Developments in the Processing of the "Hi-Tech" Metals. We are also pleased to announce the first keynote speaker, Prof. Jens Gutzmer, the founding director of the Helmholtz Institute Freiberg for Resource Technology, and professor of economic geology and petrology at the Department of Mineralogy, TU Bergakademie Freiberg, Germany. In a paper co-authored by Max Frenzel and MEI Consultant Markus Reuter, Jens will examine the number of expressions used to describe this group of commodities that are considered essential ingredients for technology development and economic prosperity. In some publications, these are referred to as “high technology metals”, in others they are named “strategic” or even “critical raw materials“. To add confusion the actual composition of this large and disjointed group of commodities is subject to on-going change – depending largely on perspective, technology and material development, geostrategic positioning and market status. Prof. Gutzmer will address reasons for the apparent confusion – and the inherent weakness of processes to identify “critical raw materials”. Furthermore, results of current efforts to quantify global resource potentials especially of by-product metals – many of which are regarded as “critical” - will be discussed. Crucially, he will consider the role of recycling vs. primary production in the near- to mid-term supply of high technology metals. This aspect is vital as we have to get smarter at recovering and reusing the vast quantities that we have already extracted from the earth, rather than relying on continued pursuit of new reserves of ever poorer quality and at substantial environmental cost. Recycling of these critical elements, which are used in every smart phone, but in tiny quantities and often alloyed, is one of the great challenges facing mineral processing this century, and will also be a major topic at Sustainable Minerals '18 in Namibia. ﻿It is good to welcome Maelgwyn Mineral Services (MMS) as a sponsor of Comminution '18. 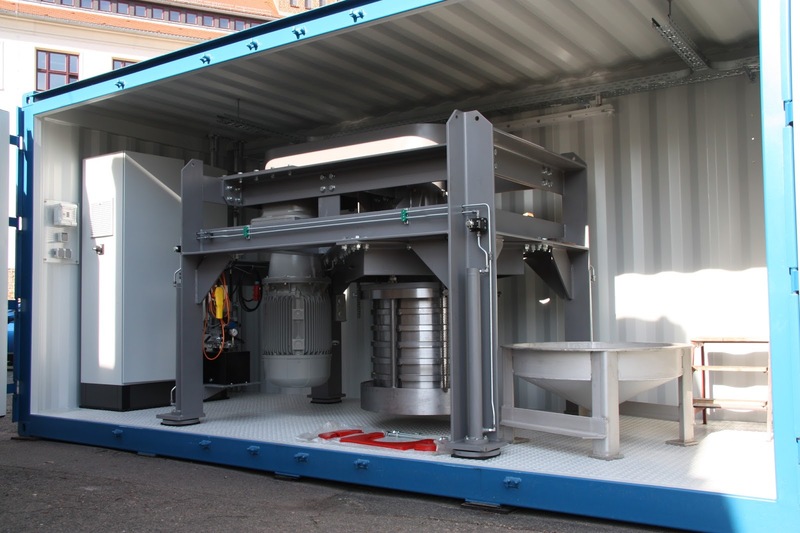 The small Welsh company will be using the conference and exhibition to highlight the progress on the development of the Ro-Star ultrafine grinding mill within its collaboration under the European Institute of Innovation and Technology (EIT) Raw Materials project. This EU funded KAVA project, co-ordinated by the TU Bergakademie Freiberg - Institute of Mechanical Process Engineering and Processing Technology, is investigating upscaling of the Ro-Star mill from laboratory and pilot size to industrial size mills. Apart from MMS and TU Bergakademie Freiberg, other collaborators include CEMTEC, Austria, University of Liege, Belgium, Sandvik, Sweden and Assarel Medet, Bulgaria. The mill is a vertical fine grinding mill, where gravity force enables a higher filling level than in horizontal mills and a hydraulic pressure on the grinding beads. It is envisaged that the optimised milling system will be characterized by a 50 % increased operation period; 50 % lower maintenance needs and high energy efficiency (20-30 % less energy consumption than similar technologies). I spent this morning at an interesting conference at Heartlands, between Camborne and Redruth, in the heart of the old tin and copper mining district. The conference, which marked the centenary of the Cornish Chamber of Mines and Minerals, was well attended by over 100 delegates, mostly members of the Cornwall Mining Alliance. A view of the future of mining was presented by short talks by five young lecturers who have recently joined Camborne School of Mines (CSM), including Penda Diallo, who commenced her lecturing duties at CSM only two days ago! Although she spoke for only 5 minutes, on the increasing importance of social issues for global mining opportunities, she put her points over very impressively and it is clear that she is going to be a great asset for the school. Cornwall was once the world's biggest producer of copper and tin, and the last tin mine to close, in 1998, was South Crofty, just across the road from Heartlands, which ended 400 years of continuous copper and tin production. Canadian company Strongbow Exploration is now committed to dewatering and redeveloping the mine, which they hope to bring into full production in late 2020 or early 2021. A year ago (posting of 19 August 2016) I and many others were very sceptical about a revival of mining at South Crofty, mainly because we had heard it many times before without anything coming to fruition. But now it really does look like this will happen; Strongbow has invested a lot of capital into this venture and has already run successful trials to dewater the mine, and, crucially, treat this water before discarding into the nearby Red River ( so called because of the contained hematite from the old mine tailings). A full water treatment plant is expected to be on-stream next June. Owen Mihalop of Strongbow gave an excellent presentation which inspired much confidence in the project. When South Crofty closed in 1998 the main use for tin was in the plating industry to produce 'tin' cans but now it has an important use in electronics, being alloyed with indium in touch screens for instance, and so can be regarded as a "High-Tech" metal (see also posting of 5th June). It is also now regarded as a strategic metal, as Asia, mainly China and Indonesia, account for 65% of world tin production, and there are very few tin mines now in the Western world. So all looks good for the go-ahead; planning permission has been granted for the surface plant, and the resources are certainly there, with an estimated 45,000 tonnes of tin in ore grading around 1.8%, giving an expected mine life of 8 years, but with much potential for expansion once dewatering is finished and further exploration can be carried out. The new mine will bring jobs and prosperity to a fairly depressed area of Cornwall, and many local companies will benefit, not least Holman-Wilfley, a major supplier of shaking tables, represented at the conference by sundowner regular Dave Goldburn! All is looking good too for Cornish Lithium, focussed on the opportunity to extract lithium from 'geothermal brines' that occur throughout a large area of Cornwall. Evaporation plays a major part in treatment of lithium brines, but new technology is helping to make other options more viable. Cornish Lithium CEO, and former CSM student, Jeremy Wrathall showed how it may now be possible to extract lithium from this source given recent advances in drilling, and extractive technologies such as reverse osmosis, ion-exchange and membrane technology, the latter being announced this week by International Lithium as a viable alternative to evaporation, used in arid countries such as Chile, Australia, and Nevada in the USA. The "new industrial revolution", the ending of the internal combustion era and the rapid adoption of electric cars and power storage batteries (posting of 30th August) is driving a significant increase in demand for lithium which has seen prices triple over the past two years. After lunch there were presentations from two old friends. Nick Wilshaw, of Comminution '18 sponsor Grinding Solutions Ltd, presented "Cornwall - a centre of mining and processing innovation" showing that he is passionate about promoting the quality and volume of innovation in the industry that comes out of Cornwall. Grinding Solutions marketing manager James Strong met with MEI's Jon Wills at the event to agree attending and exhibiting at a number of upcoming MEI conferences - Flotation '17, Comminution '18 and Biohydromet '18. Grinding Solutions has extensive experience and expertise in flotation and fine grinding and recently expanded their lab facilities to incorporate leaching and biohydromet labs, where they will be hosting the October Cornish Mining Sundowner. Dr. Tony Batchelor, of Geoscience Ltd, the guru of geothermal energy in Cornwall, showed how systems generating electrical power can be built economically in Cornwall, the first system being currently developed at the United Downs Deep Geothermal Energy Project (see also posting of 18th August). It was particularly good to congratulate Tony on his award this week of a Fellowship of the Royal Academy of Engineers. All in all a good day, and the future looks bright for major mining revivals in Cornwall. The goal of the Coalition for Eco-Efficient Comminution (CEEC) is to raise awareness of research findings, alternative comminution strategies and installed outcomes and to accelerate information, knowledge and technology transfer, with the objective of lower processing costs and raising shareholder value as a result of improved comminution practices. CEEC has supported MEI's Comminution conferences since 2016 as an industry advocate, and we are pleased that this support is to be extended beyond Comminition '18 and into Sustainable Minerals '18 and Physical Separation '19. Alison Keogh, CEEC's Chief Executive and Company Secretary, said "we see value in encouraging more contributions and more discussion and awareness in these fields, to promote improvement upstream and downstream of comminution. In our view, these conferences are a natural complement to comminution, putting it into context and integrating with important other steps, in line with CEEC's role and aims. To drive efficient mineral production we need to look at all steps in the process from the mineral resource to the product. The orebody characteristics should determine the way we design, operate and integrate the steps in mining and processing. One of the best things we can do is to remove coarse gangue early. This increases energy efficiency, reduces water use, reduces waste and increases throughput. The Physical Separation conference considers options, approaches and advances in this important field". The global mining industry is striving to employ more efficient mining and processing methods to minimise footprint and improve resource utilisation and value, and to integrate with community and environmental needs. "The Sustainable Minerals Conference highlights the many options and advances to improve the way we design, operate and integrate the steps in mining and plant processes, to increase productivity, reduce waste, improve energy efficiency and water use, and engage communities", Alison said. MEI is delighted to have this opportunity to forge stronger links with CEEC and we look forward to working closely with Alison and her team in the future.